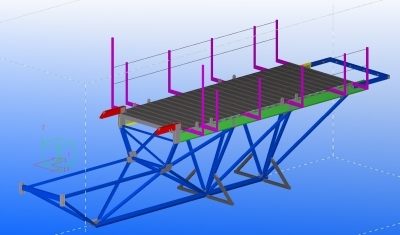 Project delivered ahead of schedule and fabricated without errors or issues. 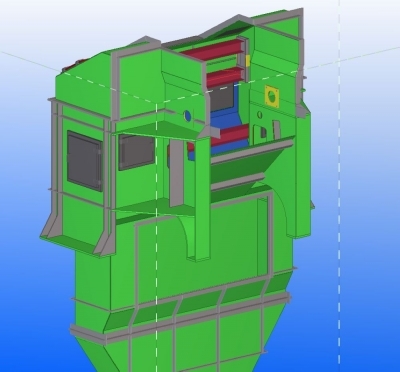 3DSDC provided all CNC files to laser cut all of the compound bevels and slots. 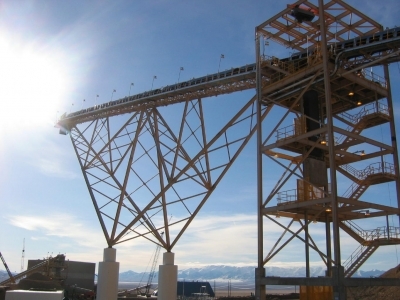 This project was approximately 375 tons and was completed on schedule. The Spirit Minerals Duct looks like a pretty simple job. This is a two hour project if design drawings are provided. Since there were no design drawings we broke out the lasers and field measured every inch and angle. We like to get out of chairs so field measuring / design build projects are welcome. 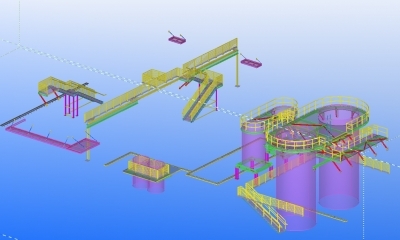 The PDX Deicing Facility was one of several BIM (Building Information Modeling) projects we have done in the last couple years. 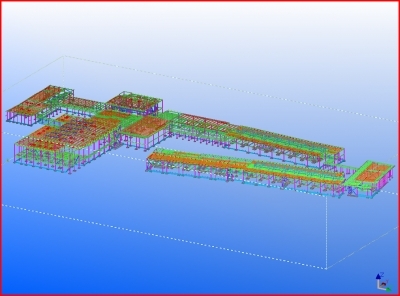 We worked directly with the General Contractor and we were able to weed out a stack of design issues through the BIM process. 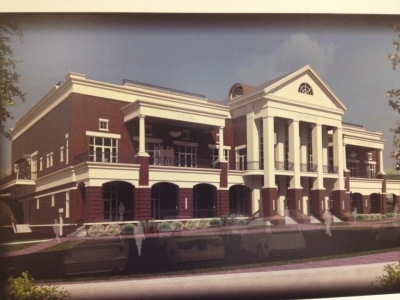 Mount Zion High School was done in 4 phases and was completed in approximately 12 weeks. 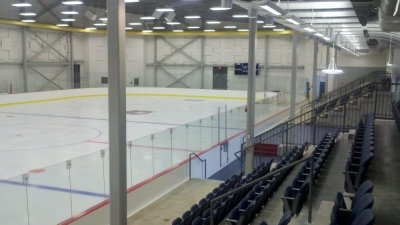 The Columbus Ice Rink is a practice facility for the Cottonmouths. It will also be used for little league games, public skating and private parties. It will be open year round. 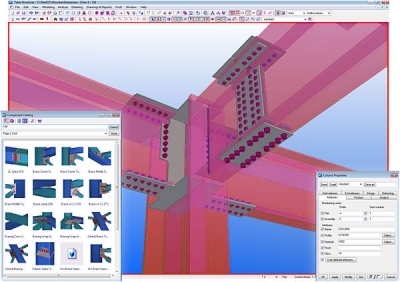 We don’t normally model plexiglass and ice but it was a good opportunity to show off our ability to model nearly anything in Tekla Structures. 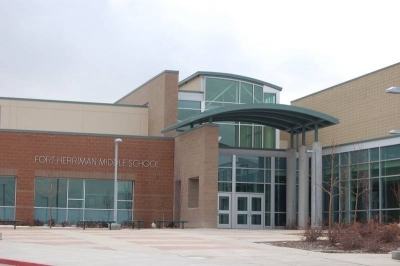 This project is the largest middle school built in the Salt Lake Valley for the Jordan School District. Designed by MHTN Architects, it was completed in August of 2005. Weber Basin Water Conservency District's circular trellis is the centerpiece of their beautiful demonstration garden. The garden provides an opportunity for community members to learn first-hand about the types of water wise landscapes that are available in a semi-arid climates. South Medford High School was set up in 16 phases. 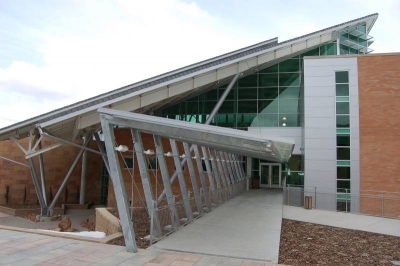 It is approximately 255,700sq/ft and 1,190 tons of fabricated steel. 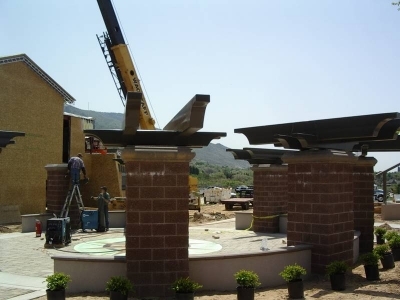 We began modeling in August of 2008 and completed the project on schedule in February of 2009. 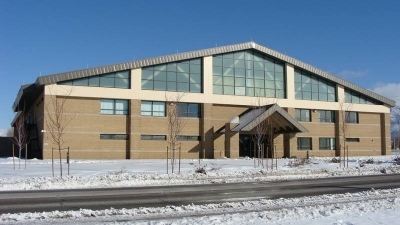 To provide the latest healthcare technology and appropriate laboratory environments for students in health-related fields, the 145,000 square foot building was designed to provide enough space for various programs at the college, including biotechnology, medical assisting and laboratories, nursing, occupational therapy, pharmacy, physical therapy, radiologic technology, surgical and health administration. 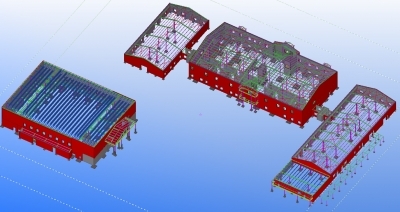 Using industry standard structural steel detailing software (Tekla Structures) and with systems and procedures that ensure the integrity of the model is paramount, we provide the highest quality drawings and 3D models for our clients.